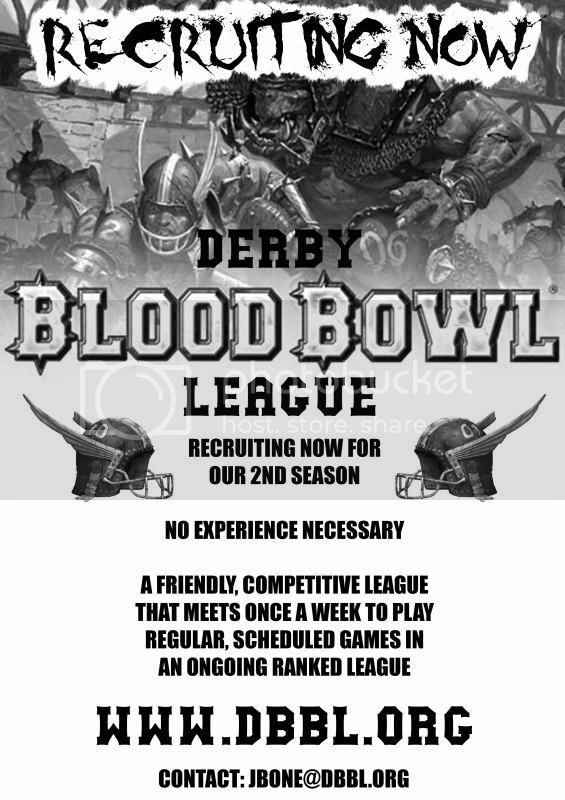 We are a new Blood Bowl league in Derby city centre, UK that are starting regular weekly Tuesday nights in the Smithfield pub, Meadow Road, Derby, DE1 2BH. We had a small but very fun first season and are now expanding and making the league a little more public. We have just set up a website to keep track of all the coaches, teams and stats and are kicking the season off with some friendlies on Tuesday the 1st of July. If you would be at all interested in joining us feel free to drop by! Visit us at http://www.dbbl.org or e-mail me at jbone@dbbl.org for more information.